You can now complete your WHMIS Training on line in 1 hour and print off the certificate yourself. 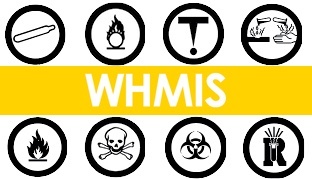 This comprehensive WHMIS Online Certification program has been developed in accordance with the Federal Hazardous Products Act for the training of persons who manufacture, work with or are ‘in proximity to’ hazardous materials in the workplace. Your training may be paused and resumed at any time, from any computer with an internet connection.